Is Your Furnace Going to Survive the Winter? Your furnace is your home's primary defense against the uncomfortable, potentially damaging effects of frigid weather. 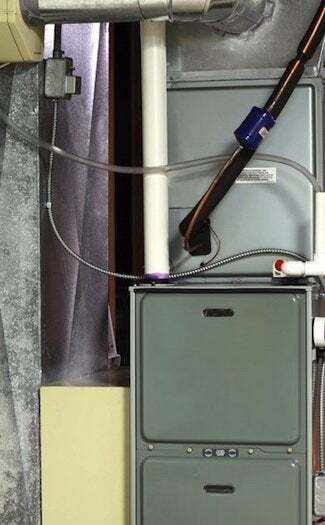 Before winter really kicks in, make sure your furnace is up to the task. 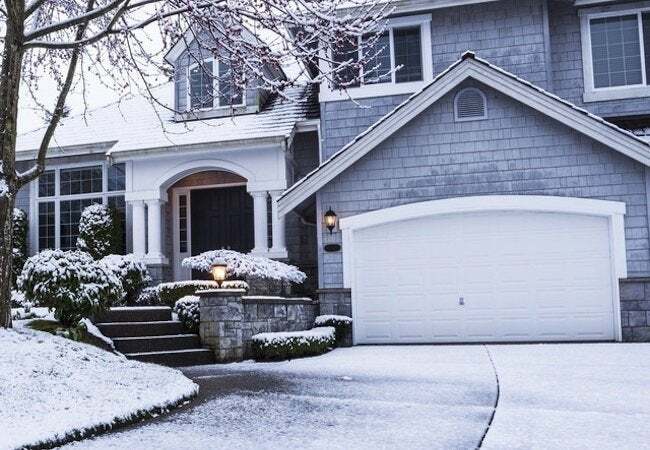 With snow flurries already flying in parts of the country, now is the time to take a close look at your furnace to assess whether it will be able to reliably serve you through the winter. If the appliance requires repair or replacement, it’s best to address the issue early, before the mercury plummets and frigid temperatures take hold. After all, “you don’t want to wake up to find ice in the dog bowl,” says David Kenyon, a product manager with Sears Home Services. 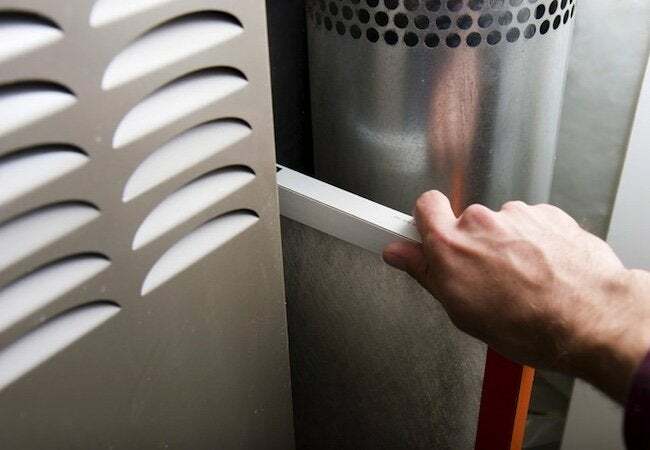 To be on the safe side, Kenyon recommends expert furnace maintenance on a yearly basis, to ensure that the unit both delivers peak performance and lasts through its intended useful lifespan. That said, you don’t have to be a professional to assess, at least in general terms, the health of your furnace. Certain warning signs can be unmistakable. “Your furnace is probably trying to tell you something,” Kenyon says. Read on for some pointers on translating its message. A furnace in top condition performs at the high end of its efficiency spectrum. As the appliance deteriorates with age, however, so too does its efficiency, with the furnace consuming more energy to do the same job. “If your heating bills are higher than they were last year, it doesn’t necessarily mean your rates are higher this year,” says Kenyon. “It could be that your furnace needs attention.” Besides keeping an eye on the bottom line on your utility bills, Kenyon recommends taking notice of temperature variations from one room to the next. Uneven heating stems from a number of causes, but according to Kenyon, it’s often a signature of poor furnace efficiency. In addition, Kenyon suggests monitoring the operating patterns of your furnace. “Does it cycle on and off very frequently? Or does it seem to run all the time?” Either behavior indicates something may be amiss. A professional can help diagnose the problem, Kenyon concludes, noting that Sears Home Services offers in-home consultations free of charge. Some signs of furnace malfunction are subtle. Others are obvious, so long as you get close enough to see and hear the appliance at work. In his experience, Kenyon says, “A surprising number of homeowners rarely even go near the furnace.” But, he continues, simply “standing next to it can tell you a lot about its condition.” Check the surface for rust or corrosion. Listen for excessive buzzing, humming, or rattling. And if you observe any such signs of distress—or if the unit emanates an unusual odor—”don’t hesitate to have it looked at,” Kenyon says. “It may be nothing or it may be something, but to prevent a midwinter emergency, it pays to be cautious,” he advises. When arranging a service call, though, be sure to hire a technician who’s qualified to work on your specific furnace. Some pros specialize in only one type. Sears Home Services is different, Kenyon points out, because it performs maintenance on all makes and models—no matter where the unit was purchased. Near the end of its life, your furnace may be prone to frequent breakdowns. At this point, you need to decide whether to repair the unit or replace it altogether. As expected, Kenyon says, “a new furnace demands a sizable investment.” But as mentioned above, upgrading to a newer, more efficient unit often leads to lower monthly utility bills. So, Kenyon summarizes, “despite the upfront cost, replacing an old furnace could be cheaper than paying to repair an inefficient unit over and over.” In addition, Kenyon offers the reminder that, “Ultimately, your home is likely to feel more comfortable in winter with a new furnace supplying its heat.” If you decide to upgrade, know that choosing a new furnace can be overwhelming. An important advantage of a company like Sears Home Services is that, from initial selection to final installation, a project coordinator guides you through the process. When both the comfort of your family and the integrity of your home are at stake, can you afford to take chances? Which brings up yet another reason that so many homeowners enjoy working with Sears Home Services. As a nationwide company with a decades-long history, Sears supports its work with a Satisfaction Guarantee—and your relationship with Sears will continue long after the workers pick up and leave your home. That way, you can enjoy full confidence that just as you are, Sears is committed to the success of your project. Stay warm! This post has been brought to you by Sears Home Services. Its facts and opinions are those of BobVila.com.